ALLEGRA BOVERMAN/Staff photo. Gloucester Daily Times. Gloucester: At the ribbon cutting for the new Base Gloucester fish auction mart at Fisherman's Wharf on Wednesday. 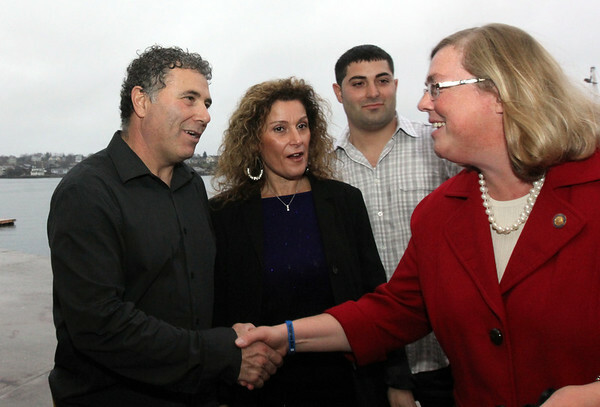 Gloucester Mayor Carolyn Kirk, far right, congratulates Vito, Jenny and Nick Giacalone, who own and run the business.